Intended Audience: Teachers, Daycare Providers, Coaches, Office Workers, new parents, or anyone who wants or needs to learn the life-saving skills of CPR and are not a healthcare professional. Description: Heartsaver CPR/AED gives individuals the knowledge and skills necessary to recognize and provide basic care for breathing and cardiac emergencies until advanced medical personnel arrive. 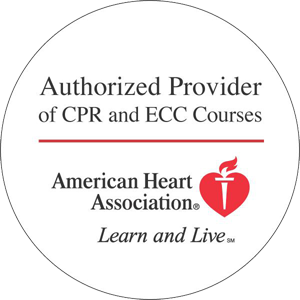 This American Heart Association course certifies individuals in CPR/AED for adults, children and infants and is valid for two years.